"I believe music to be the ultimate language of communication and human interaction. A form of expression that ultimately transcends our comprehension. In this realm of mystery and magic we have experiences that can never be put into words or anything tangible, other than a simple realization that music is a necessary part of our human existence; that it is in the realm of the divine. It is my aim to share this gift with all through Camerata Armonia." 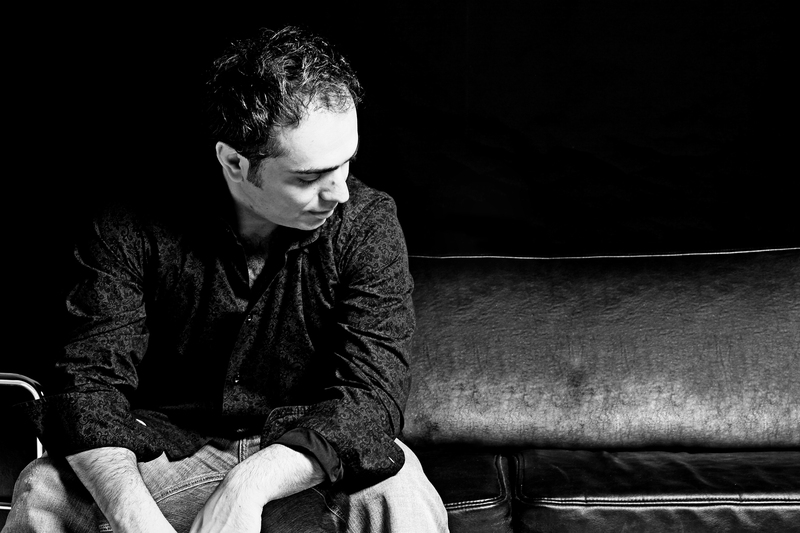 Having grown up in Russia and in the United States, Arman Tigranyan has benefited from a musical education in an international context. His ability to unite the musical traditions and forms of expression of various cultures and countries makes him an outstanding representative of a young generation of conductors. In the Autumn of 2015 he was invited to the Gubaidulina Festival “Concordia” in Kazan to conduct the Tatarstan National Symphony Orchestra (Soloists: Nikita Boriso-Glebsky), and in the Spring of 2016 a reinvitation followed to conduct the orchestra in the closing concert of the Natan Rakhlin Festival (Soloist: Katia Skanavi). In February 2016, Arman Tigranyan assisted Kristjan Järvi with the State Academic Orchestra of Russia (Soloist: Denis Matsuev) and in April 2016, Vladimir Spivakov with the Moscow Conservatory Concert Orchestra (Soloists: Nikolay Lugansky). During the Summer of 2012, Arman Tigranyan was first invited by Paavo and Neeme Järvi to the renowned Järvi Summer Academy and Festival in Pärnu, Estonia. He had the special honour of conducting part of the final concert in Leigo with Neeme Järvi. Arman Tigranyan was again invited to the Academy and Festival in 2013 and 2014. During the Fall of 2013, Tigranyan assisted the Chief Conductor of the MDR Symphony Orchestra and the Baltic Sea Youth Philharmonic, Kristjan Järvi, at the Usedom Music Festival. From 2014 onward, he became Kristjan Järvi’s assistant at the Baltic Sea Youth Philharmonic. Among other ensembles, Arman Tigranyan has conducted the Russian National Orchestra, the Kharkov Philharmonic Orchestra, the Pärnu City Orchestra, the Estonian National Youth Symphony, the Baltic Sea Youth Philharmonic, the Tatarstan National Symphony Orchestra, the State Academic Philharmonic Orchestra of Crimea, the Moscow Conservatory Concert Orchestra, the VU Orchestra Amsterdam, the Belgorod State Philharmonic Orchestra, and Sinfonia Varsovia in October 2014 where appeared alongside maestro Krzysztof Penderecki. Born in Moscow, Tigranyan originally started his musical training on the violin, first with his father and later at the renowned P. Tchaikovsky Central Music School. Shortly before the fall of the Soviet Union, his family emigrated to the United States, settling in Los Angeles. As a violinist, he continued his studies with Viktor Danchenko at the Peabody Conservatory and subsequently with Jean Ter-Merguerian in Marseille and with Josef Rissin at the Karlsruhe Musikhochschule, where he graduated with honors in 2010. As a conductor, Arman Tigranyan began his formal education at the Freiburg Musikhochschule in the Fall of 2010. He further advanced his studies at the renowned P. Tchaikovsky Conservatory in Moscow where he graduated with his degree in Orchestral and Operatic Conducting under the tutelage of Vladimir Ponkin. Additionally, his conducting mentors include Neeme Järvi, Paavo Järvi, Gennady Rozhdestvensky, Jorma Panula, and Colin Metters, among others. In 2012 he founded the chamber orchestra “Camerata Armonia” together with friends in Germany, where he is currently the artistic director.